Few things are as relaxing, healthy and mood-lifting as taking a long bath in the privacy and comfort of your own home. Many homeowners throughout Victoria’s beautiful capital have enough space to fit a tub in their bathroom, but simply can’t find an item that fits their budget and the overlooking style of their home. If you’re one of these people, then we have just the solution for you. 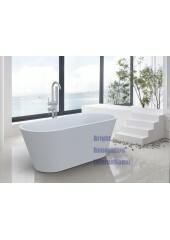 Bright Renovation is proud to present a wide range of high-quality, cheap back to the wall bathtubs and freestanding bathtubs for Melbourne homes of all kinds. All of these tubs are made from durable, hard-wearing acrylic that is sure to stand up to the rigors of everyday use, while remaining easy to clean and mark-free. With competitive pricing that begins at $799.00 (including GST), you would be hard-pressed to find baths at a lower price anywhere in Victoria – or Australia, for that matter. 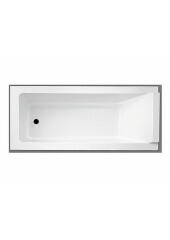 If you’re after something a little bit different for your bathroom, make sure to check out our range of back to wall bathtubs. By being designed to sit flush with walls, these bathtubs exude a wholly unique style. 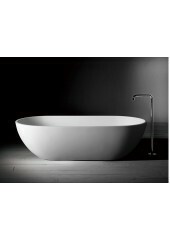 Their form factor sets them apart from regular tubs, allowing your bathroom to encapsulate a very modern look and feel. We also stock a huge variety of other styles, and would be happy to guide you through what we have available. Feel free to drop by our Dandenong South-based showroom and warehouse if you want to see our beautifully-made, cheap bathtubs for yourself. All the items that we list in our online store are available to purchase and pick up in-person. We’d love to have a chat with you about which item best suits your needs.